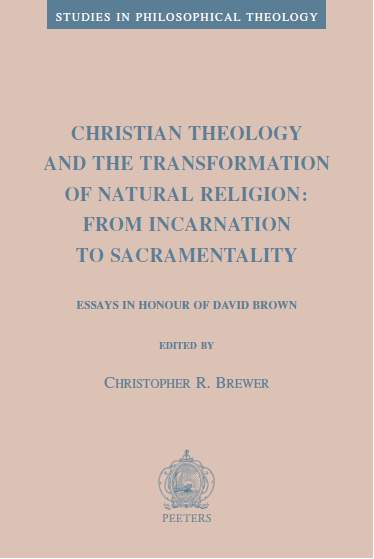 ‘Theological responses to spirits: medicine or poison?’, in Christian Theology and the Transformation of Natural Religion: From Incarnation to Sacramentality––Essays for David Brown, ed. Christopher R. Brewer (Leuven: Peeters, 2018), 101–15. There is some high quality work now available on theology and wine but little on theology and spirits. I use Derrida's conception of a pharmakon as either a medicine or a posion to assess the sharply contrasting views of alcoholic spirits in Christian history. The modern critique of spirits, primarily and rightly for health reasons when consumed in excess, is well known. Yet the medieval identification of spirits as the product of alchemy, which was often framed in the terms of Christian liturgy and theology, suggests that the time has come for a more balanced theological and ethical appraisal of spirits. ‘Henri de Lubac’, in Theologies of Retrieval: An Exploration and Appraisal, ed. Darren Sarisky (London: T&T Clark, 2017), 135–52. I first examine de Lubac’s retrieval of patristic and earlier medieval sources, especially in his role as co-director of the Sources Chrétiennes series. I suggest that this textual ressourcement was motivated by a concern, which was properly theological, to reconceive the human person and human action in their relation to God, but that this theological concern was philosophically motivated by Maurice Blondel. 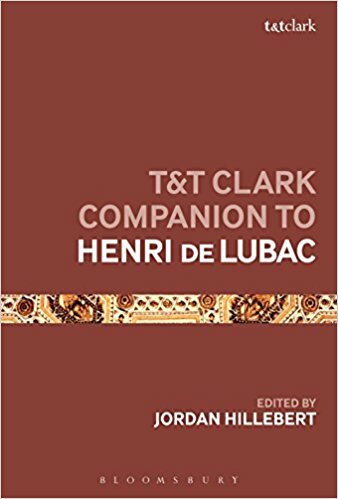 These historical and philosophical currents flowed together into de Lubac’s fundamental theology, especially the Théologie series, which de Lubac was also instrumental in establishing and to which he contributed several volumes. I conclude by assessing the relative importance and interrelation of these different strands in his retrieval project. 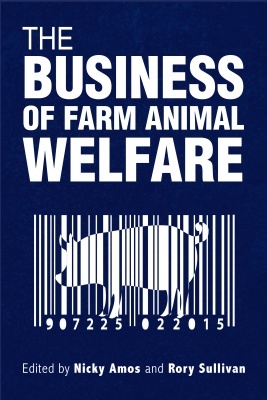 ‘Ethics, religion and farm animal welfare’, in The Business of Farm Animal Welfare, eds. Nicky Amos and Rory Sullivan (Saltaire: Greenleaf, 2017), 32–44. This chapter focuses mostly on ethics, with particular reference to the UK, and turns to religious issues considered toward the end. Ethical action requires i) knowledge of relevant facts; ii) the acceptance of one or more ethical principles, such as utility, deontology or virtue; and iii) the capacity to relate facts to ethical principles in practice, and I consider each of these in turn. Religion also has the potential to bring welfare benefits, although engagement is needed with scientific research into stunning. ‘On religion’, in T&T Clark Companion to Henri de Lubac, ed. Jordan Hillebert (London: T&T Clark, 2017), 247–68. De Lubac might be supposed to have been a strong-minded apologist for Christian exclusivism. In fact, from the early 1930s he taught and wrote on religion. I first survey de Lubac’s evaluation of theories about the origin of religion and their archaeological and ethnographic bases. His discussions of monotheism are then considered, before an exposition of the relation he sees between Christ and Israel. The next topic is the theology of Christian mission, in both ancient syncretistic and modern global contexts. I then show how de Lubac’s understanding of Judaism was forged in the crucible of the Nazi persecution of the Jews, and finally consider what he might offer to Christian–Muslim relations in the present day. ‘Animal welfare, morals and faith in the “religious slaughter” debate’, in Revisiting Moral Panics, eds. Vivienne E. Cree, Gary Clapton and Mark Smith (Bristol: Policy Press, 2015), 211–19; and in Moral Regulation, ed. Mark Smith (Bristol: Policy Press, 2015), 19–29. Controversies about the slaughter of farm animals without pre-stunning periodically arise in the British media. These display most of the classic features of a moral panic. A campaign develops quickly, which is of intense even if brief duration, and the media are prominent in presenting and sustaining it. Strong action is called for, with links made to wider anxieties about social fragmentation or breakdown, in this case due to Islam in Britain. Values and interests, in this case of non-humans, are presented as threatened by an easily identifiable source, while the real issues, both technical and moral, are almost completely ignored. 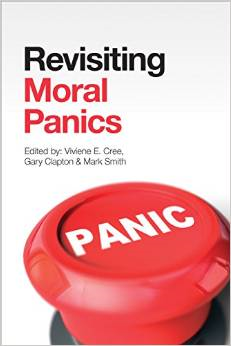 This chapter was first presented as part of an ESRC-sponsored seminar series on moral panics. ‘Dynamics of Christian dietary abstinence’, in Religion, Food, and Eating in North America, eds. Benjamin E. Zeller et al. (New York: Columbia University Press, 2014), 3–22. 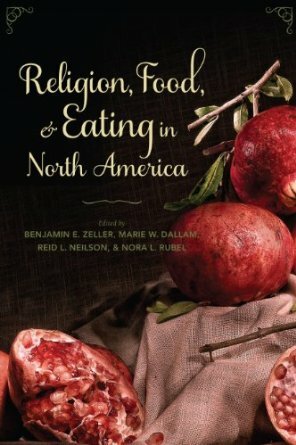 In this chapter I examine a range of Christian communities in the United States in which distinctive dietary practices have been observed and promoted, and situate those practices within the wider history of Christian diet. The examination is organized under four headings: constructing bodily boundaries; witnessing scripture; living in sustainable communities; and production, consumption, and salvation. Nevertheless, Christians have viewed dietary disciplines ambivalently and I propose three structural reasons for this: Christian views of the body and its relation with the soul; the relation supposed to exist between eucharistic eating and everyday eating; and attitudes to rules and material practice generally. This collection was the product of a highly enjoyable five-year seminar with US colleagues at the American Academy of Religion annual meeting. 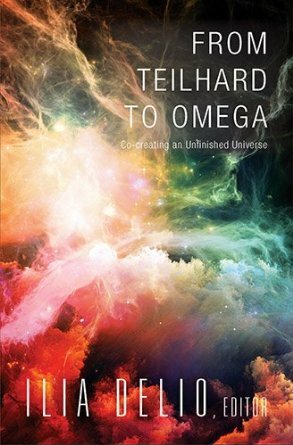 ‘Metaphysics, morality, and politics’, in From Teilhard to Omega: Co-creating an Unfinished Universe, ed. Ilia Delio (Maryknoll, NY: Orbis, 2014), 111–26. Teilhard perceives an urgent need to reinvigorate moral discourse and apply it to the powerful political ideas, institutions and movements of our day. He also recognizes that metaphysics and morality are intimately linked and mutually confirming. In this chapter, which began life as a plenary presentation at a conference at Santa Clara, I examine these links under five headings: human and divine action; motion, change and human agency; complexity and community; participation, analogy and discourse; and finitude. Teilhard affirms the real, spiritual value of action in the world and the need to nurture the bonds of interconnectedness that constitute human community in its multiple dimensions. He counters technological and economic instrumentalism with a view of the material world as participating in a higher, spiritual reality. He accepts the finitude of wealth, resources and human ingenuity, showing willingness to live within the boundaries these impose. « Renouvellement des relations politiques, économiques et sociales », in Défis d'une évangélisation renouvelée : les apports de Pierre Teilhard de Chardin, eds. Marie-Anne Roger, Marie Bayon de La Tour and Itala Ménard (Brussels: Lessius, 2013), 121–33. A l’occasion de son séjour à Rome en 1948, Teilhard ressentit intensément qu’il se trouvait au centre organique et tangible de l’unité spirituelle. Mais il se rendit compte également que la convergence spirituelle a des implications concrètes dans la politique, la société et l’économie. Je propose mes réflexions en me référant à la constitution Lumen Gentium. Teilhard appelle l’Eglise à réfléchir sur la manière dont elle doit se positionner pour être réellement et en vérité, le corps au centre duquel se trouve aujourd’hui l’énergie spirituelle de la transformation mondiale. Ce chapitre constitue une intervention au colloque à l'Université pontificale grégorienne de Rome. 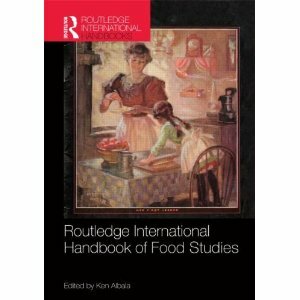 'Food and theology', in The Routledge International Handbook of Food Studies, ed. Ken Albala (New York: Routledge, 2012), 159–68. Current work on food and theology is indebted to prior developments in religious studies, social anthropology, and sociology. Patristics and church history have provided foundations, notably critiques by feminist scholars in these disciplines of medieval fasting. Biblical studies has also produced valuable findings, as have theological engagements with culture, ritual, and liturgy. Scholars of food and theology now need to appraise further their inherited tradition, engage non-theological interest in food, shape church practice and witness, and consider the wider implications of practice-focused theology. As well as extending theological understanding of food, this will renew the discipline of theology. ‘Henri de Lubac: looking for books to read the world’, in Ressourcement: A Movement for Renewal in Twentieth-Century Catholic Theology, eds. Gabriel Flynn and Paul D. Murray (Oxford University Press, 2011), 236–49. 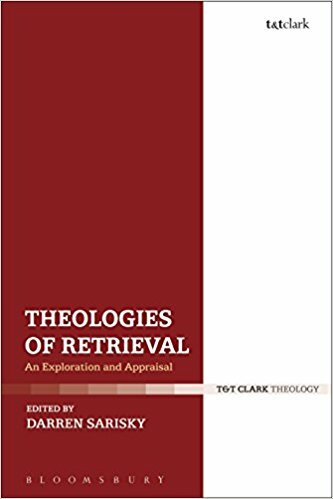 This chapter shows that ressourcement was key among Henri de Lubac’s concerns, bringing him to fuller understanding of the Thomist synthesis and setting Thomas Aquinas against the many neo-Thomists who claimed him as their own. De Lubac also had to grapple with the heritage of Augustine, especially Jansenism, which historically had been the French national theology and had shaped understandings of the relations of grace–nature and Church–State. Moreover, de Lubac reread Origen, mining his spiritual and Christological reading of scripture to develop his own doctrine of the historical, allegorical, tropological and anagogical senses of scripture. This led de Lubac to recognise Jesus Christ as the ‘abridged Word’ of scripture, the true New Testament, the author of the history of which scripture gives an account, and the mystical body constituted by the Eucharist. 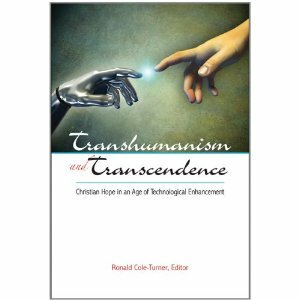 ‘Transformation and the end of enhancement: insights from Pierre Teilhard de Chardin’, in Transhumanism and Transcendence: Christian Hope in an Age of Technological Enhancement, ed. Ronald Cole-Turner (Washington, DC: Georgetown University Press, 2011), 37–49. 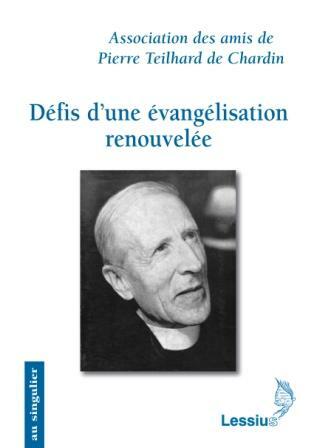 The French Jesuit Pierre Teilhard de Chardin is a valuable conversation partner for transhumanists, especially via his later writings of 1940–55. Focusing on the work of Ray Kurzweil and Nick Bostrom, I identify several features common to Teilhardian and transhumanist anthropology: evolution, teleology, reflection, transformation and culmination in humankind. Yet transhumanists tend to regard materiality negatively, rather than as intrinsic to incarnation, and give insufficient consideration to the role of ethical and spiritual principles in shaping human life. Lastly, they wrongly view death as able to be overcome by human ingenuity rather than by the work of God alone. ‘Christ as substance in Teilhard and Blondel’, in Philosophie, théologie, littérature. Hommage à Xavier Tilliette, SJ pour ses quatre-vingt-dix ans, ed. Miklos Vetö (Louvain: Peeters, 2011), 133–44. In his profound yet concise study Philosophies eucharistiques de Descartes à Blondel, Père Xavier Tilliette shows how the Eucharist is not exceptional but exemplary. The presence of Christ in eucharistic substance, which the doctrine of transubstantiation describes, points to a larger metaphysical truth: that Christ sustains and gives consistency to other substances in the world, acting as the ‘bond of substance’. Substance is not, in other words, mere extension in the Cartesian sense, but a theological and even Christological notion. In this chapter I examine just one source of inspiration that Père Tilliette identifies but is unable to pursue: the oeuvre of his former Jesuit confrere Pierre Teilhard de Chardin. In particular, I suggest that this oeuvre had formative influence on Blondel's eucharistic metaphysics. 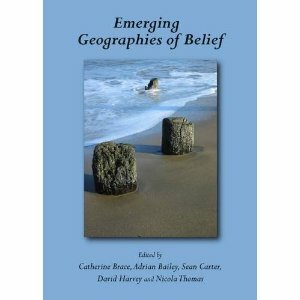 ‘Dining in the kingdom: fish eating and Christian geography’, in Emerging Geographies of Belief, eds. Catherine Brace et al. (Newcastle: Cambridge Scholars, 2011), 255–71. We normally view diet as private. In fact, it has shaped landscapes, economies and social bodies. In this chapter I examine how, in Britain, Christian abstinence from red meat was required by law on over 200 days each year and the impetus this gave to the growth of the fishing industry, the building of weirs and construction of fishponds. Dietary abstinence remained an important tool of public policy until the 1660s for a range of political, economic and ecological reasons. This shows that, in the present day, a far more interventionist approach by church and state to dietary matters would be by no means without historical precedent. 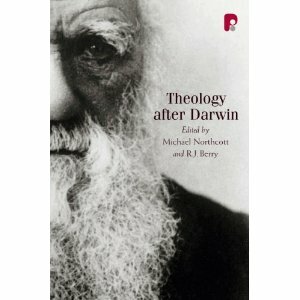 'Natural theology after Darwin: contemplating the vortex', in Theology After Darwin, eds. Michael Northcott and R.J. Berry (Carlisle: Paternoster, 2009), 155–70. The Origin of Species is a more ambiguous text than many of its critics and enthusiasts have allowed, as illustrated by its three epigraphs. The inherent dynamism of the evolutionary theory which Darwin there began to develop appeared to challenge belief in the distinctiveness of the human species and the soul. But dynamism by no means implies lack of purpose, and discrete species were central to his theory. In their readings of Pierre Teilhard de Chardin, Henri de Lubac suggests that evolutionary dynamism is ultimately caused by the spiritual action of God in Christ on the world, and Donald MacKinnon defends the synthesising vision on which this view depends. All attempts to explain evolution in purely natural terms ultimately fail, as confirmed by the persistence of metaphor even in present-day supposedly secular evolutionary discourse. ‘The Concordat era in France: from Jansenism to Neo-Thomism’, in The Oxford Handbook to the Reception History of Christian Theology, eds. Sarah Coakley and Richard Cross (Oxford University Press, 2019). ‘The world as Christ’s body: problems and possibilities’, in Full of your Glory: Liturgy, Cosmos, Creation, ed. Teresa Berger (Collegeville, MN: Liturgical Press, 2019). 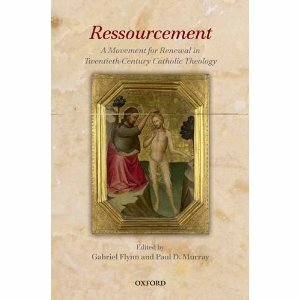 ‘Movements of ressourcement in theology: foundations for a council of renewal’, in The Oxford Handbook of Vatican II, eds. Catherine E. Clifford and Massimo Faggioli (Oxford University Press, 2020). ‘Tradition and innovation’, in Edinburgh Critical History of Christian Theology, vol. 6: The Twentieth Century, ed. Philip Ziegler (Edinburgh University Press, 2020). ‘Sacraments’, in T&T Clark Companion to Suffering and the Problem of Evil, eds. Matthias Grebe and Johannes Grössl (London: T&T Clark, 2022).